Boston Harbor is home to the Port of Boston, which is a major shipping facility located in the northeast. Boston Harbor was the famous site of the Boston Tea Party and today, it is a place where many people work and enjoy recreational activities. It is also the site from which many commercial boats, cruise ships, sightseeing boats and recreational boats depart. For people working at Boston Harbor, working offshore, working on boats that have left from the Harbor or enjoying a whale watching or pleasure cruise that has left Boston Harbor, there is easy access to Massachusetts Bay through to the Atlantic Ocean. There is, unfortunately, also a risk that injuries will occur while on the Harbor or on a commercial or consumer boat that has departed from the area. When an injury happens, a maritime lawyer with experience handling offshore injuries should be consulted for help as soon as possible. Lipcon, Margulies, Alsina & Winkleman, P.A is here to help. Offshore injuries are not handled the same way as injuries that occur on land. There are special complexities for both workers and individuals whenever injuries happen on navigable waterways or open waters. From challenges in getting prompt medical attention while offshore to questions about what laws apply or what country the boat or employer is operating under, special understanding of admiralty and maritime law is necessary when handling offshore injury cases. When an injury has occurred, the first decision to be made is what state or federal laws apply to provide protection to the victims. Whether these are standard personal injury laws requiring negligence for a victim of a cruise ship accident to make a case, or whether a Jones Act claim will allow an injured worker to get compensation from an employer who was responsible for an offshore injury, victims must know what laws should apply to them. A skilled lawyer can provide invaluable assistance in evaluating the network of U.S. and international laws that can come together to provide rights to injured victims. Our attorneys have been featured on National TV more than 80 times to discuss admiralty law and maritime issues. 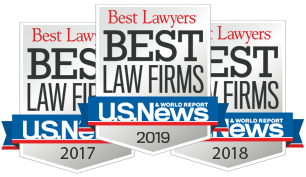 We have been recognized among the Best Lawyers in America and have been named as Super Lawyers. We are also Board Certified in Admiralty and Maritime Law by the Florida Bar. We have represented many clients injured along the 50 square miles and 180 miles of shoreline in Boston Harbor, as well as many clients who work off the shores of the Boston Harbor or who left on cruises or sightseeing tours from the area. Let us bring our legal experience to the table to provide you with representation if you are one of the workers, boaters or cruises who suffers injuries each year on navigable waterways off Boston. We can be reached at 877-233-1238 or contact us online for a free consultation today.